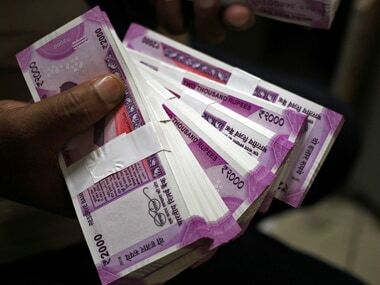 New Delhi: Retirement fund body Employees Provident Fund Organisation (EPFO) on Wednesday declared 8.55 percent interest rate on provident fund deposits for 2017-18, lower than 8.65 percent for 2016-17 which will impact its about 5 crore members. There was an expectation that the EPFO will maintain interest rate of last year as it had sold a portion of its investments in the exchange traded funds (ETF) worth Rs 2,886 crore earlier this month, the sources had said to PTI. The EPFO had announced interest rate on deposits for 2016-17, a tad lower than 8.8 percent in 2015- 16. It has earned a return of Rs 1,054 crore on sale of ETFs this month, which would be sufficient to provide 8.65 percent rate of interest this fiscal, PTI report had said on Tuesday quoting sources. The EPFO has been investing in ETFs since August 2015 and it has so far not monetised the ETF investments. The EPFO has invested around Rs 44,000 crore in the ETFs till date. According the latest evaluation of the EPFO's investments in ETFs, it has earned a return of 16 percent. However, this return is notional because it could not be realised unless the EPFO liquidates these ETF investments. It is proposed that the members should be given option to have ETF credits in their EPF account.